For the next generation taking the helm of the family business is not easy, but being catapulted into the role at a very young age is even tougher. Dealing with grief, entering a sector with limited knowledge and not really ready to take the top job can all come as a challenge. That said, when it comes to family firms, family ties run deep so there is always hope. Katy Moss is a fantastic example of someone who had to step in and did so remarkably, an inspiration to others, and kept the business afloat during the grieving process following the loss of her father, and a number of years later the loss of her mother. A truly inspiring story of the next generation who have battled adversity to overcome the obstacles put in her way. 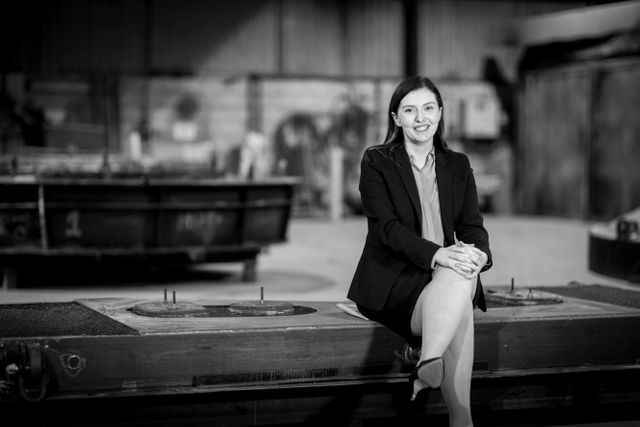 Sadly, Katy is not alone, and there are lots of other family firms where the next generation have had to take on a business at an age when they were not expecting it. Families are robust and dig deep when they have to, and as Katy explains, "never give up." Sadly, death is an inevitability for us all so when it comes to the family business, the more the next generation are informed and involved along the way the better. Overcoming adversity: A business kept afloat during a grieving process Katy Moss had a huge challenge to contend with in 2011 – keep her father's business afloat after he passed away. Here she tells her story of overcoming adversity.